The makeup realm isn’t free from urban legends and myths circulating around, but this has got be one of the craziest ones yet that we’ve heard. 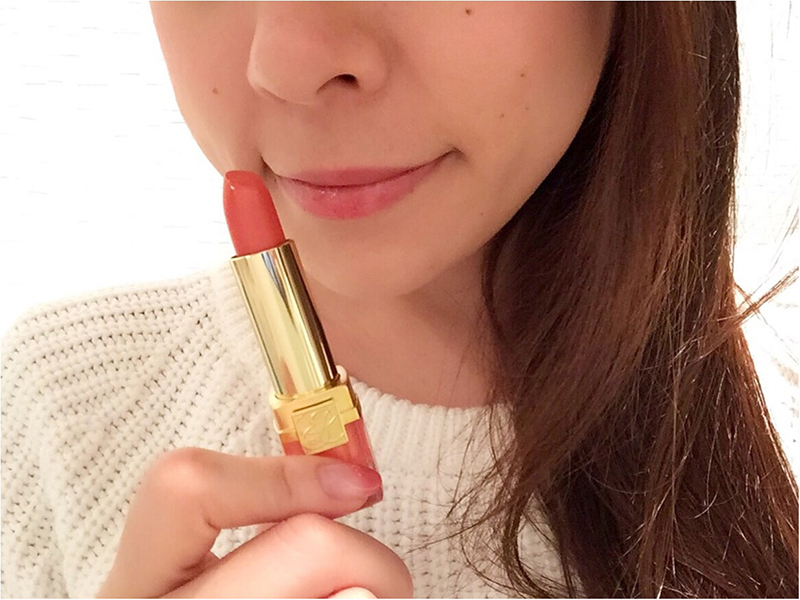 We first heard about it when an editor from American beauty mag Hello Giggles wrote about a particular lipstick that her brother and his Japanese girlfriend had gotten for her from Japan for Christmas. 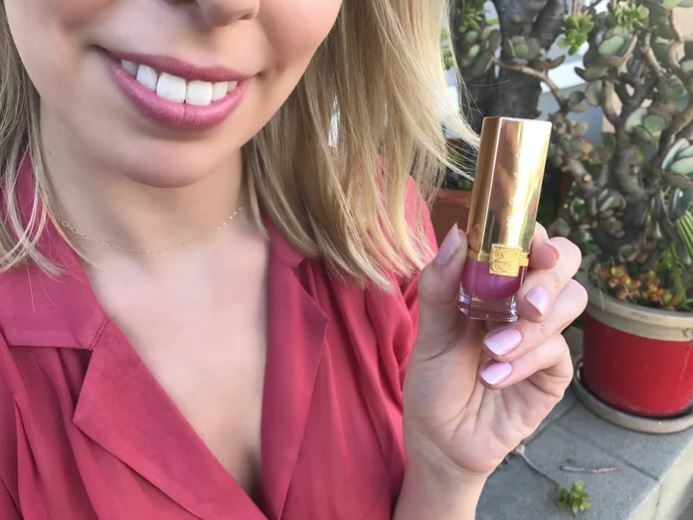 At first wondering why her brother pre-warned her about the gift, Emily soon found out the story behind the Estee Lauder lipstick she received: it was supposed to get you married within a year. This lipstick will get you a husband in a year? 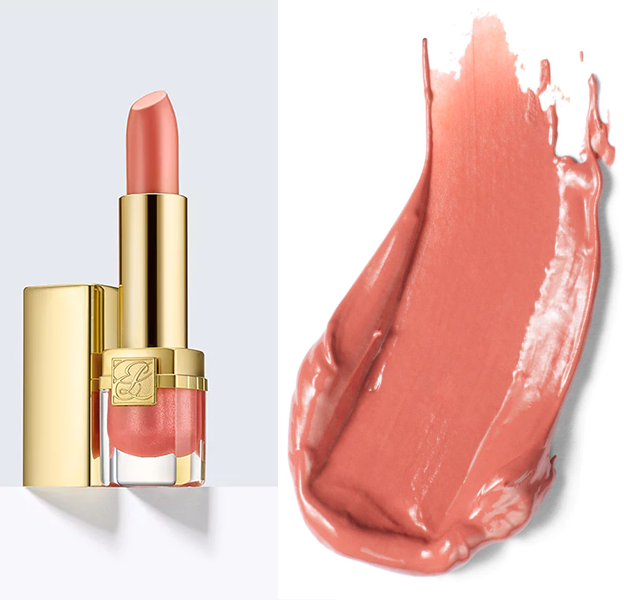 The lipstick is actually one from the Estee Lauder Pure Color Crystal collection, which is only found exclusively in Japan. Although Emily had received the shade 03 Crystal Pink Cream from her brother, this actually isn’t the genuine article. 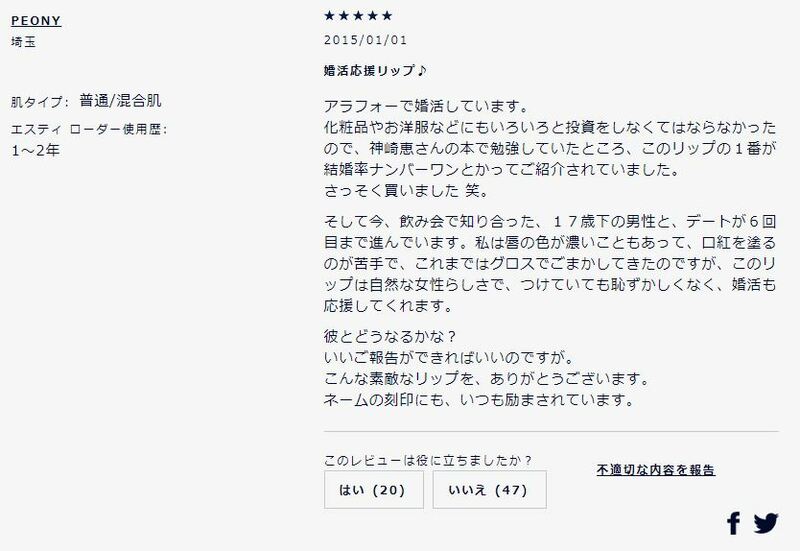 A quick browse through the reviews left behind by hopeful Japanese women, some of whom have even supposedly seen results from the “marriage lipstick”, point towards the best-selling shade of the collection, 01 Crystal Baby Cream, as the real deal. While Crystal Pink Cream, which Emily from Hello Giggles had received as a gift, was a cool-toned Barbie pink, the popular Crystal Baby Cream shade is a warmer peach-rose colour which can be universally flattering. What sorcery are all these users experiencing? 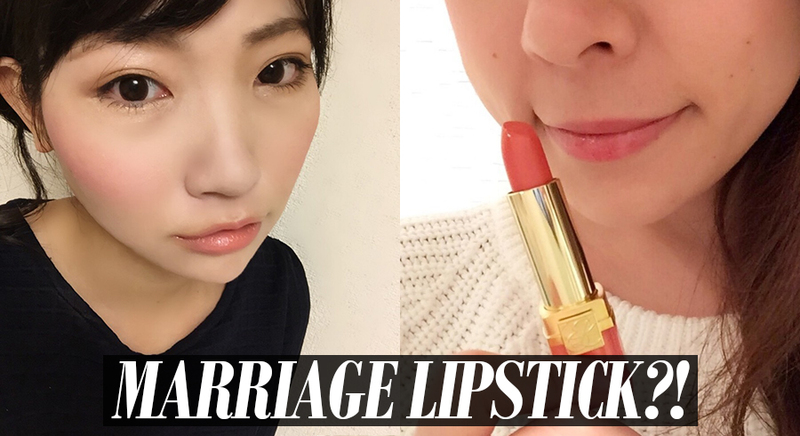 For the most part, it looks like a regular, good quality lipstick that is hydrating to the lips without compromising on pigment and intensity, but its mythical magic powers to get oneself hitched is becoming the stuff of legends in the Japanese beauty community. 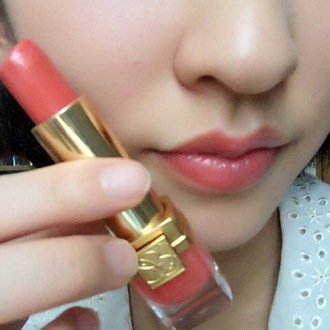 The wild rumour about the magic properties of this lipstick soon started circulating on popular Japanese beauty forums like Cosme and Maquia online. Users started reporting getting dates or meeting someone special shortly after wearing the lipstick out. I wore 01 on a date with him. 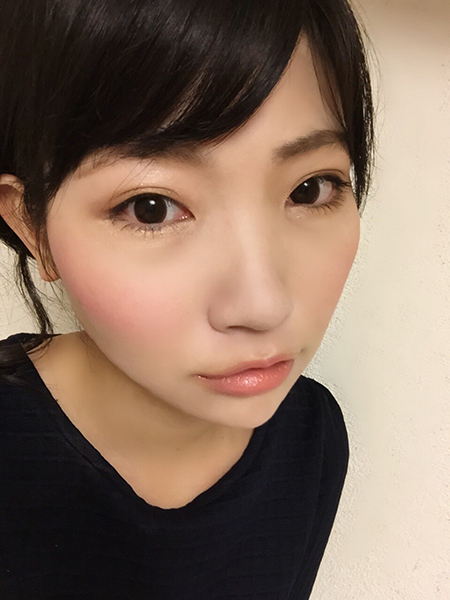 Even though my lips are prone to flaking, I was able to stay confident, thanks to this magical lipstick that makes girls cute and pretty. My boyfriend doesn’t usually talk much, but he was talking and laughing happily, and even bought me a necklace as a present on the way back. It was a great buy, thank you very much. I am around forty and would like to be married. I have invested quite a bit in makeup and fashion, and found out about shade 01 of this collection being the #1 method of increasing your chances of marriage. I bought it at once, haha. Soon after, I met a guy who is 17 years younger than myself at a drinking party, and we’ve gone on 6 dates so far. Because my lips are quite deep in colour, I have never been good with most lipsticks, so I’ve always used to cheat by using lip glosses instead. However, this lipstick has a natural femininity which doesn’t make you embarrassed, and supports your chances at marriage. What will happen with my boyfriend? I hope I will have good news. Thank you for such an awesome lipstick. The engraving of my name on it always encourages me. We’re not surprised at the popularity of such a flattering colour, but we wouldn’t go as far as to say it also comes with some magic powers that will snag you a spouse in a year. More than likely, the delicate but youthful shade may have made a difference in users’ self-esteems, and we all know nothing is more attractive than well-placed confidence. 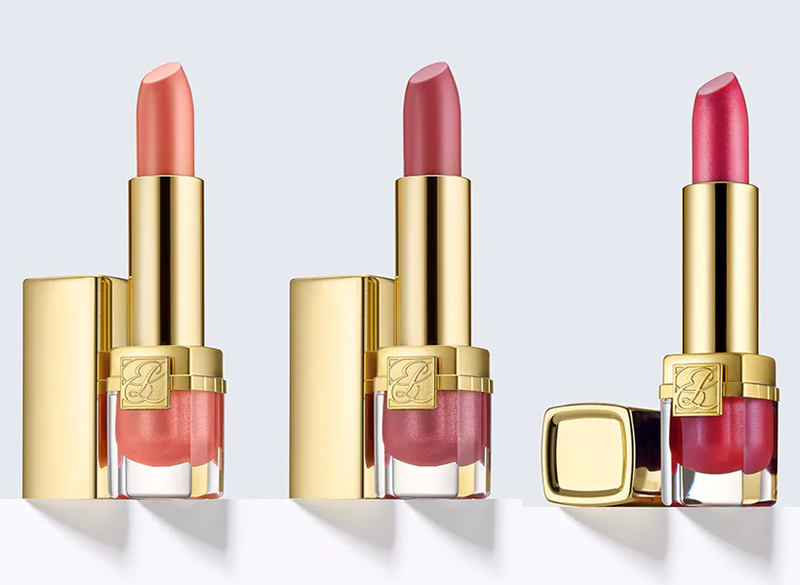 Whether or not you agree with the whole concept of a lipstick snagging you a husband within a year, it’s certain that something about this Estee Lauder lipstick is at least boosting the confidence of women in Japan. 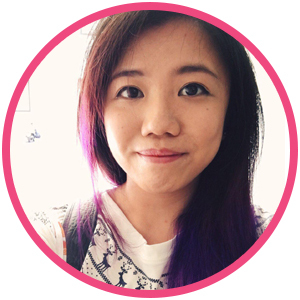 The lipstick isn’t available in Singapore, but you can always check out AirFrov if you’d like to get your hands on it, or to make a special gift to someone.